Todd Greenberg is genuinely excited about the prospect of two NRL teams playing for competition points in the USA next season. 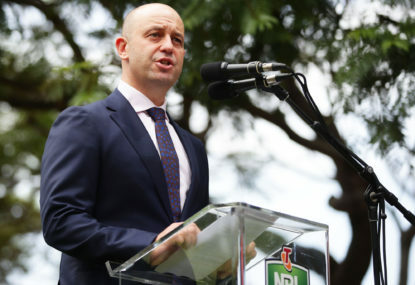 The who, the where, and the when are still on the drawing board, but the NRL boss had better iron out the embarrassing scrum – or to be more accurate the ‘lean-to’ – before he tries to win American support for rugby league. In 2016 two rugby heavyweights – the All Blacks and Ireland – did battle at the Chicago Bears NFL club’s home ground of Soldier Field in front of a sell-out 62,300 crowd, won by Ireland in a shock result 40-29. 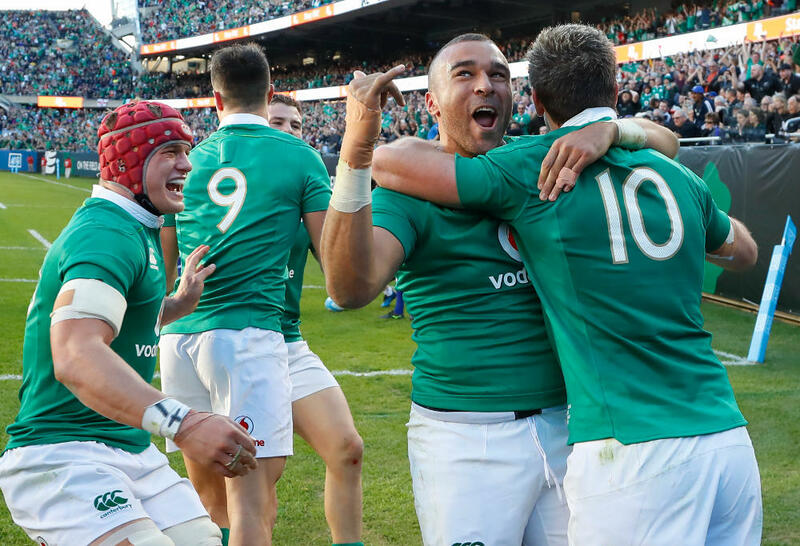 It remains Ireland’s only win over New Zealand in Test history. Recently England and New Zealand played a rugby league international in Denver with 19,320 in attendance – England coming from 12-0 behind to win comfortably 36-18. This not a rugby versus rugby league comment, but it’s proof league has a harder sell as union is far better known in the USA. And league will never crack the ice to American sports-lovers if referees and players totally ignore scrum law. In 1987, Queensland had won the Origin series 2-1 when it was decided to take the code’s Holy Grail to Long Beach, California for a fourth clash of the season. NSW led 10-2 at half-time to run out 30-18 winners, in front of a 12,349 crowd. What was significant about that game were the two hookers Royce Simmons (NSW), and Queensland’s Greg Cornescu actually hooking for possession with the half-backs Peter Sterling (NSW) and Queensland’s Allan Langer feeding scrums in the middle of the tunnel. Cameron Smith started his record-breaking hooking career in 2002 and he’s currently played 476 games for the Storm, Queensland, and the Kangaroos. But he has never hooked in his life. He feeds the scrum behind the second row’s feet. So sometime between 1987 and 2002 rugby league scrum laws have been totally ignored, leaving them in the shambles of today. I can’t remember exactly what year, but over a period of time illegal scrum feeds became unwritten law. But the written law has never changed. (a) The ball shall be put into the scrum from the Referees side by holding it in a horizontal position with a point in each hand and rolling it along the ground into the tunnel formed by the opposing front row forwards. That’s crystal clear: operative word ‘tunnel’. The scrum half of the team not having the put-in shall retire immediately behind his last row of forwards. All other players outside the scrum, other than the scrum half putting the ball in, shall retire five metres or more behind the last row of forwards of their respective teams and shall remain so until the ball has emerged correctly from the scrum. That’s crystal clear as well, even if the wording is a tad laboured. But the next law is rarely ever utilised. It is permissible for forwards to push once the scrum has been correctly formed, but if it moves an appreciable distance to the disadvantage of any one team before the ball is put in, then the Referee shall order the scrum to reform in its original position. Again laboured, but why don’t current league teams make full use of what is law? The answer is simple, current scrums aren’t bound tightly enough for a push to work. There’s an argument to ban ‘scrums’ altogether, but the disadvantage is that the 12 forwards in a concentrated area would be lost to give the backs more room to move. So Todd Greenberg, make the scrum legal. Stop referees and the bunker making howlers, and you have a sport very worthy to sell the Americans. If you don’t right the wrongs, any visit to the USA would just be a very expensive holiday in a competition season.